Seth B. Winner has earned three Grammy Nominations and two honorable mentions from NARAS for remastering projects for the New York Philharmonic and two Duke Ellington compilations that appeared on MCA/GRP and BMG. He has also done extensive remastering projects for the Minnesota Orchestra, Metropolitan Opera, Sony Music, Pavilion Records, Ltd., Bridge, Crystal, Sheffield Labs and Universal Records. He founded Seth B. Winner Sound Studios in 1990. From 1996-2004, he was co-chair with Gary Galo of ARSC's Technical Committee and a contributor to the CLIR Technical Report concerning analogue identification, conservation and preservation. Recent preservation and mastering projects have been undertaken for The Cy Walter Archives, the Bach Aria Group, the Schnabel Family Foundation, the Benny Carter and Benny Goodman Collections housed at Rutgers University's Institute of Jazz Studies, and a recent 4-CD package devoted to Jussi Björling's American radio broadcasts (issued by the American JB Society on the WHRA label), that has won critical praise for its technical work. Currently he has been engaged in an ongoing project of restoring various commercial and live recordings of the pianist Nadia Reisenberg on the Roméo label. In 2014, he completed a two year NARAS-sponsored conservation and preservation project of New York Philharmonic World War II-era broadcasts, which were on glass-based lacquer coated discs. Since 1989, he has remastered the critically acclaimed Vocal Record Collectors' Society Annual Issues. 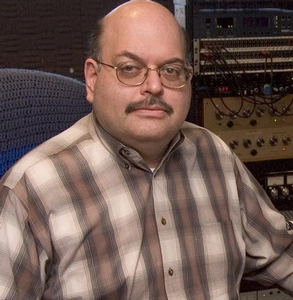 As a sound engineer for over 27 years at the New York Public Library, he has supervised the preservation of many collections, for example, the Voice of America, the National Orchestral Association, the Little Orchestra Society, Roberta Peters, Henry Cowell, Vincent Persichetti, Otto Luening and Eubie Blake. Since 1988, Mr. Winner has also been the engineer responsible for initially preserving the Toscanini Collection, and as a result, was one of the engineers responsible for the release of the Maestro’s nearly complete commercial discography on BMG in 1992. Along with his colleague Joseph Patrych, Seth has been involved in the design and construction of studios for Harvard University, The University of Missouri at Kansas City, The Edison National Historical Site and The International Piano Archives at Maryland.